Google has announced that it is releasing a new version of its Google Voice app for both Android and iOS and the updated version of the app comes with some new features and also a new design. 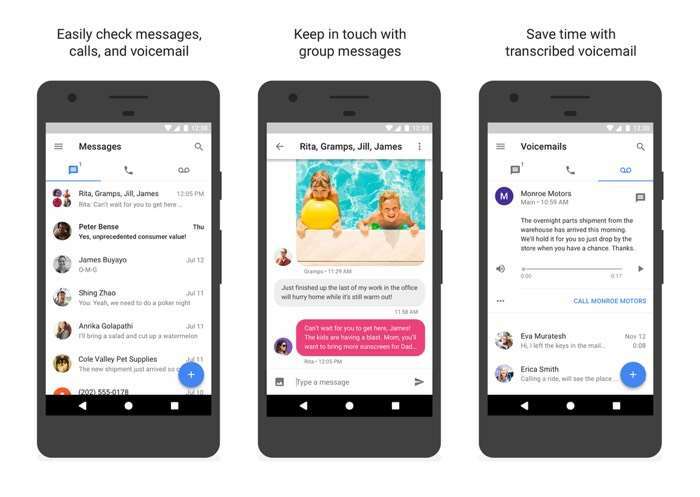 The latest version of Google Voice is designed to have a cleaner look and feel and the inbox now features different tabs for voicemails, phone calls and also text messages. When we first introduced Google Voice our goal was to create “one number for life”—a phone number that’s tied to you, rather than a single device or a location. Since then, millions of people have signed up to use Google Voice to call, text and get voicemail on all their devices. It’s been several years since we’ve made significant updates to the Google Voice apps (and by several, we mean around five ), but today we’re bringing a fresh set of features to Google Voice with updates to our apps on Android, iOS and the web. The latest version of Google Voice is now available to download for both iOS and Android, you can find out full details about the app over at Google at the link below.